This solution, which delivers the power and capabilities of a large format console, allows technicians and musicians record in duplicate your stereo mix. It is suitable to become the nucleus of a recording studio multitrack, thanks to its integration through its USB interface with any DAW system. HarmanWhose products distributed Earprohas announced the launch of digital multitrack recording and mixing system Soundcraft Ui24R, offering input and flexible output, an optimum sound quality, control intuitive wireless and reliability of tours. This compact system that is mounted in a rack, is part of the newly announced products Connected PA ecosystem. 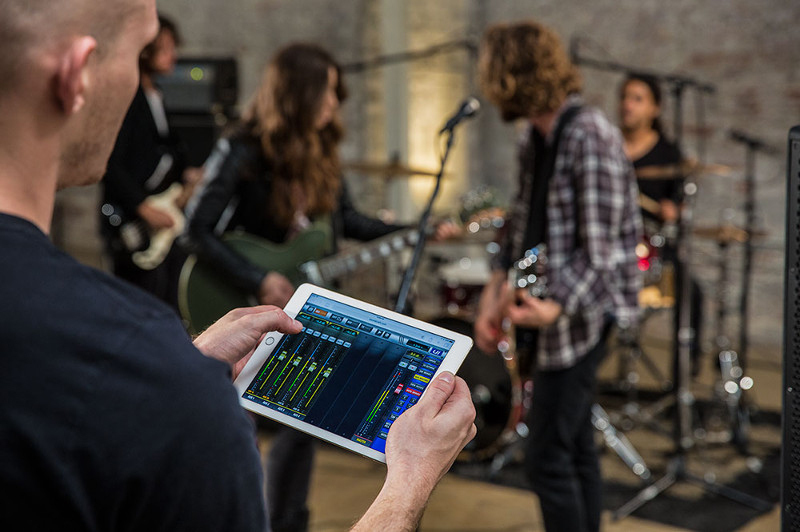 The Ui24R can be controlled by up to 10 devices via Ethernet or WiFi dual band integrated, allowing to manage the mixture and multitrack recording of wirelessly. The process of signal of Lexicon, dbx, DigiTech ensures crystal clear sound quality, while the previous 20 microphone designed by Studer delivered more professional tickets than any other mixer in its class. "The mixture and Soundcraft Ui24R multitrack recording system delivers the power and capabilities of a large format, in a compact and practical solution console. A technology and a few high quality components, including the famous Lexicon, dbx, DigiTech and previous Studer signal processing, provide results amazing for rehearsals, performances and recordings. Either for direct or for study, it is the definitive system for artists, owners of rooms and engineers that need to save space and offer better sound", explains Scott Wood, Solutions Manager, Mixing of Harman Professional Solutions. 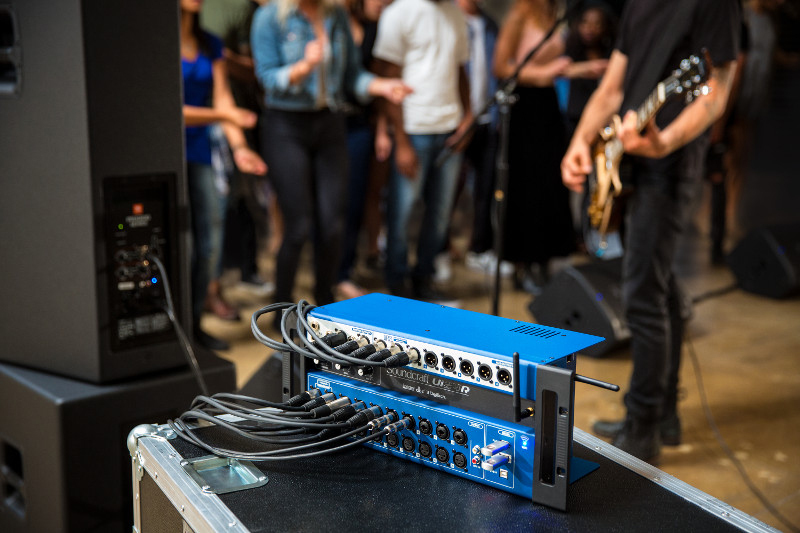 The Ui24R offers 24 channels of input, including 10 combo/XLR, 10 XLR, 2 line level and 2 channels digital mix, resulting in a total of 24 simultaneous inputs. The previous of Studer deliver sound richer in details for applications of multitrack recording and live performances. At the same time, the iconic effects of Lexicon (reverbs, choruses and delays), and the compression from Dbx, provide results polished for acoustic guitars, voices and other sounds. The automatic suppression of feedback AFS2 Dbx is available on all monitor outputs, providing a great live experience. In addition, two channels of modeling of guitar and amplifier by Digitech added a set of effects for any performance or recording, which are of particular interest when you need to work with low volumes. The Ui24R redefines the experience of live mix, providing engineers the freedom to control mixtures from anywhere in the room. 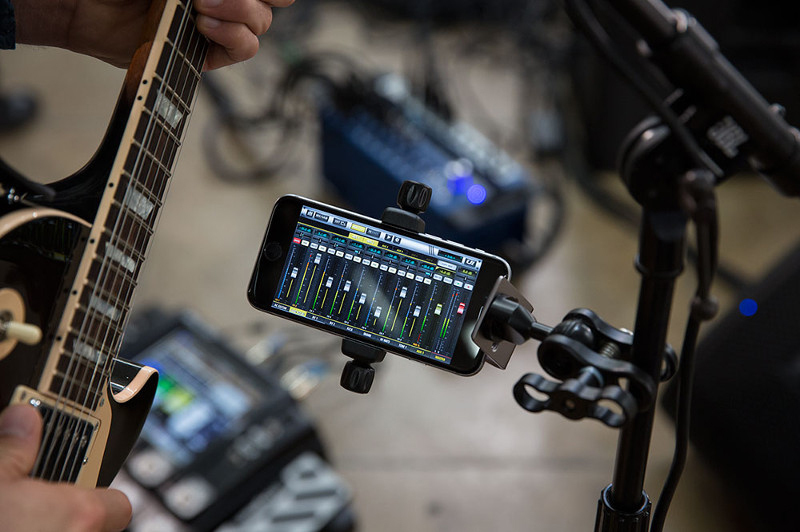 Up to 10 devices can be simultaneously connected via dual-band WiFi, so musicians can adjust their individual mix on stage while PA engineers optimize the sound of the room. Thanks to the compatibility with HTML5, the system can be controlled from any web browser that is modern, including devices iOS, Android, Windows, Mac OS and Linux, without installing any app. This solution allows technicians and musicians record duplicated its stereo mix, as well as the 22 tickets multitrack directly on a USB memory stick and a computer connected to the system. The Ui24R is also ideal to be the core of a home recording studio multitrack, thanks to its simple integration via its USB interface with any DAW system.